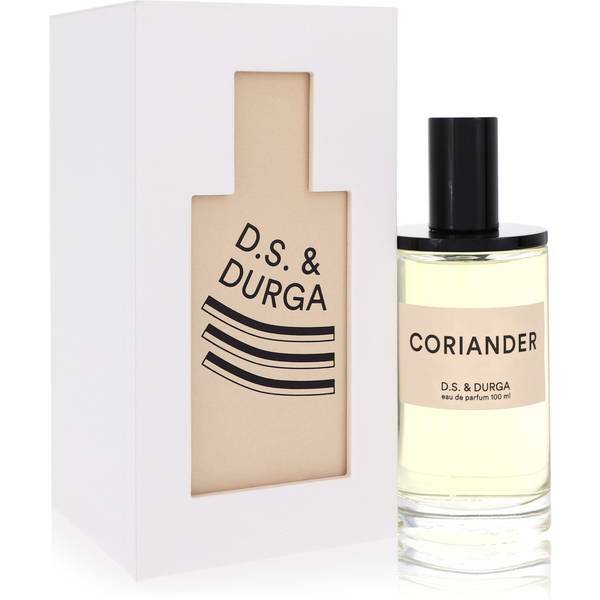 Coriander Perfume by D.S. 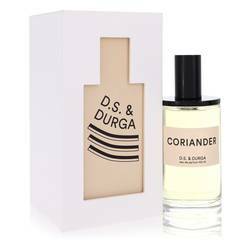 & Durga, The fresh and aromatic women’s perfume Coriander was introduced in 2008 . 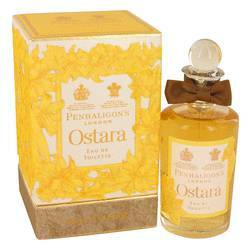 It opens with softly spicy top notes of cracked Russian coriander, pepper and juniper needle. At its center, the scent reveals delicate heart notes of geranium, clove and clary sage. It finishes with deep base notes of musk, magnolia and mace. 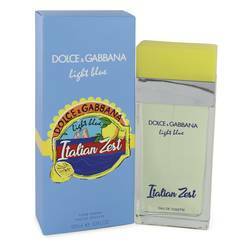 Light yet energetic, this perfume is a unique blend of green, dry herbal and floral herbs and essences. Founded in 2007, D.S. & Durga is a Read More Read More Brooklyn, New York-based boutique perfume maker focused on producing small batches of handmade fragrances. The founders D.S. (David Seth Moltz) and Durga (Kavi Moltz) began by making products for family and friends. True artisans, these perfumers research and procure premium raw materials from around the world and create all scents in-house with a focus on quality over quantity. The niche perfumer currently has over 60 scents that range from light to full-bodied. All products are original, authentic name brands. We do not sell knockoffs or imitations.